Rhythm and blues, commonly abbreviated as R&B, is a genre of popular music that originated in African American communities in the 1940s. The term was originally used by record companies to describe recordings marketed predominantly to urban African Americans, at a time when "urbane, rocking, jazz based music with a heavy, insistent beat" was becoming more popular. In the commercial rhythm and blues music typical of the 1950s through the 1970s, the bands usually consisted of piano, one or two guitars, bass, drums, one or more saxophones, and sometimes background vocalists. R&B lyrical themes often encapsulate the African-American experience of pain and the quest for freedom and joy,  as well as triumphs and failures in terms of relationships, economics, and aspirations. The term "rhythm and blues" has undergone a number of shifts in meaning. In the early 1950s, it was frequently applied to blues records. Starting in the mid-1950s, after this style of music contributed to the development of rock and roll, the term "R&B" became used to refer to music styles that developed from and incorporated electric blues, as well as gospel and soul music. In the 1960s, several British rock bands such as the Rolling Stones, the Who and the Animals were referred to and promoted as being R&B bands; posters for the Who's residency at the Marquee Club in 1964 contained the slogan, "Maximum R&B". Their mix of rock and roll and R&B is now known as "British rhythm and blues". By the 1970s, the term "rhythm and blues" changed again and was used as a blanket term for soul and funk. In the 1980s, a newer style of R&B developed, becoming known as "contemporary R&B". It combines elements of rhythm and blues, pop, soul, funk, hip hop, and electronic music. Popular R&B vocalists at the end of the 20th century included Prince, R. Kelly, Stevie Wonder,  Chaka Khan, Whitney Houston,    and Mariah Carey. In the 21st century, R&B has remained a popular genre becoming more pop orientated and alternatively influenced with successful artists including Usher, Bruno Mars, Chris Brown, Justin Timberlake, The Weeknd, Frank Ocean and Khalid. Gerald "Jerry" Wexler was a music journalist-turned music producer, and was one of the main record industry players behind music from the 1950s through the 1980s. He coined the term "rhythm and blues", and was integral in signing and/or producing many of the biggest acts of the time, including Ray Charles, the Allman Brothers, Chris Connor, Aretha Franklin, Led Zeppelin, Wilson Pickett, Dire Straits, Dusty Springfield and Bob Dylan. Wexler was inducted to the Rock and Roll Hall of Fame in 1987 and in 2017 to the National Rhythm & Blues Hall of Fame. 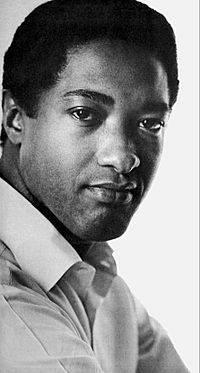 Writer and producer Robert Palmer defined rhythm & blues as "a catchall term referring to any music that was made by and for black Americans". 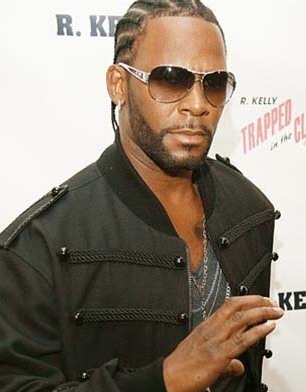 He has used the term "R&B" as a synonym for jump blues. However, AllMusic separates it from jump blues because of R&B's stronger gospel influences. Lawrence Cohn, author of Nothing but the Blues, writes that "rhythm and blues" was an umbrella term invented for industry convenience. According to him, the term embraced all black music except classical music and religious music, unless a gospel song sold enough to break into the charts. Well into the 21st century, the term R&B continues in use (in some contexts) to categorize music made by black musicians, as distinct from styles of music made by other musicians. Jump blues is an up-tempo style of blues, usually played by small groups and featuring saxophone or brass instruments. It was popular in the 1940s and was a precursor of rhythm and blues and rock and roll. Appreciation of jump blues was renewed in the 1990s as part of the swing revival. The Harlem Hamfats was a Chicago jazz band formed in 1936. Initially, they mainly provided backup music for jazz and blues singers, such as Johnny Temple, Rosetta Howard, and Frankie Jaxon, for Decca Records. Their first record, "Oh! Red", became a hit, securing them a Decca contract for fifty titles, and they launched a successful recording career performing danceable music. African American music began incorporating Afro-Cuban rhythmic motifs in the 1800s with the popularity of the Cuban contradanza (known outside of Cuba as the habanera). The habanera rhythm can be thought of as a combination of tresillo and the backbeat. Bartholomew referred to the Cuban son by the misnomer rumba, a common practice of that time. 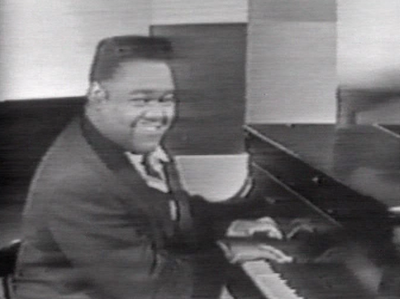 Fats Domino's "Blue Monday," produced by Bartholomew, is another example of this now classic use of tresillo in R&B. Bartholomew's 1949 tresillo-based "Oh Cubanas" is an attempt to blend African American and Afro-Cuban music. The word mambo, larger than any of the other text, is placed prominently on the record label. In his composition "Misery," New Orleans pianist Professor Longhair plays a habanera-like figure in his left hand. [ citation needed ] The deft use of triplets is a characteristic of Longhair's style. Gerhard Kubik notes that with the exception of New Orleans, early blues lacked complex polyrhythms, and there was a "very specific absence of asymmetric time-line patterns (key patterns) in virtually all early-twentieth-century African American music ... only in some New Orleans genres does a hint of simple time line patterns occasionally appear in the form of transient so-called 'stomp' patterns or stop-time chorus. These do not function in the same way as African time lines." In the late 1940s, this changed somewhat when the two-celled time line structure was brought into the blues. New Orleans musicians such as Bartholomew and Longhair incorporated Cuban instruments, as well as the clave pattern and related two-celled figures in songs such as "Carnival Day," (Bartholomew 1949) and "Mardi Gras In New Orleans" (Longhair 1949). While some of these early experiments were awkward fusions, the Afro-Cuban elements were eventually integrated fully into the New Orleans sound. The "Bo Diddley beat" (1955) is perhaps the first true fusion of 3–2 clave and R&B/rock 'n' roll. 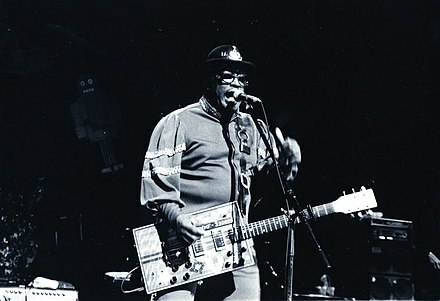 Bo Diddley has given different accounts of the riff's origins. Sublette asserts: "In the context of the time, and especially those maracas [heard on the record], 'Bo Diddley' has to be understood as a Latin-tinged record. A rejected cut recorded at the same session was titled only 'Rhumba' on the track sheets." Johnny Otis' "Willie and the Hand Jive" (1958) is another example of this successful blend of 3–2 clave and R&B. Otis used the Cuban instruments claves and maracas on the song. Johnny Otis, who had signed with the Newark, New Jersey-based Savoy Records, produced many R&B hits in 1951, including: "Double Crossing Blues", "Mistrustin' Blues" and "Cupid's Boogie", all of which hit number one that year. Otis scored ten top ten hits that year. Other hits include: "Gee Baby", "Mambo Boogie" and "All Nite Long". The Clovers, a vocal trio who sang a distinctive sounding combination of blues and gospel,  had the number five hit of the year with "Don't You Know I Love You" on Atlantic. Also in July 1951, Cleveland, Ohio DJ Alan Freed started a late-night radio show called "The Moondog Rock Roll House Party" on WJW (850 AM). Freed's show was sponsored by Fred Mintz, whose R&B record store had a primarily African American clientele. Freed began referring to the rhythm and blues music he played as "rock and roll". By the 1970s, the term "rhythm and blues" was being used as a blanket term for soul, funk, and disco. Around the same time, mods band influenced by R&B. The Who played Motown hit "Heat Wave". In the 70s, Philadelphia International (featuring The O'Jays, Harold Melvin & the Blue Notes, Jerry Bell, Archie Bell & The Drells and Billy Paul) and Hi Records (featuring Al Green, O. V. Wright and Ann Peebles) got R&B hits  . 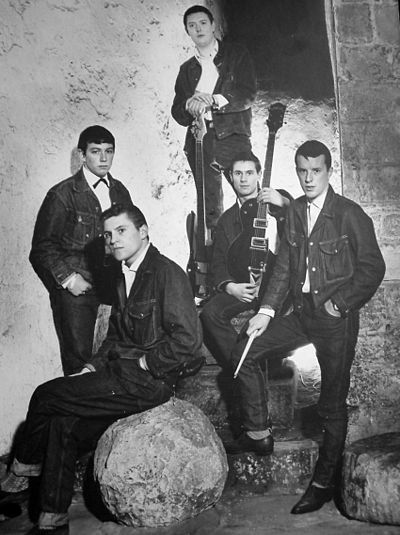 The music of the British mod subculture grew out of rhythm and blues and later soul, performed by artists that were not available to the small London clubs where the scene originated. As a result, a number of bands emerged to fill this gap, including Small Faces, and most successfully the Who. The Who's early promotional material tagged them as producing "maximum rhythm and blues", but by about 1966 they moved from attempting to emulate American R&B to producing songs that reflected the Mod lifestyle. Many of these bands enjoyed national success in the UK, but found it difficult to break into the American market.  . But British White blues musicians could not play real R&B, and UK black musician such as Carl Douglas, Hot Chocolate(UK), Delegation, Junior, Central Line  played real R&B and had hits. Ruth Alston Brown was an American singer-songwriter and actress, sometimes known as the "Queen of R&B". She was noted for bringing a pop music style to R&B music in a series of hit songs for Atlantic Records in the 1950s, such as "So Long", "Teardrops from My Eyes" and "(Mama) He Treats Your Daughter Mean". For these contributions, Atlantic became known as "the house that Ruth built". Henry Roeland "Roy" Byrd, better known as Professor Longhair or "Fess" for short, was a New Orleans blues singer and pianist. He was active in two distinct periods, first in the heyday of early rhythm and blues and later in the resurgence of interest in traditional jazz after the founding of the New Orleans Jazz and Heritage Festival in 1970. His piano style has been described as "instantly recognizable, combining rumba, mambo, and calypso." New Orleans rhythm and blues is a style of rhythm and blues music that originated in the U.S. city of New Orleans. Most popular from 1948 to 1955, it was a direct precursor to rock and roll and strongly influenced ska. Instrumentation typically includes drums, bass, piano, horns, electric guitar, and vocals. The style is characterized by syncopated "second line" rhythms, a strong backbeat, and soulful vocals. Artists such as Roy Brown, Dave Bartholomew, and Fats Domino are representative of the New Orleans R&B sound. The music of Louisiana can be divided into three general regions: rural south Louisiana, home to Creole Zydeco and Old French, New Orleans, and north Louisiana. The region in and around Greater New Orleans has a unique musical heritage tied to Dixieland jazz, blues, and Afro-Caribbean rhythms. The music of the northern portion of the state starting at Baton Rouge and reaching Shreveport has similarities to that of the rest of the US South. David Louis Bartholomew is an American musician, bandleader, composer, arranger and record producer, prominent in the music of New Orleans throughout the second half of the 20th century. Originally a trumpeter, he has been active in many musical genres, including rhythm and blues, big band, swing music, rock and roll, New Orleans jazz and Dixieland. In his induction to the Rock and Roll Hall of Fame, he was cited as a key figure in the transition from jump blues and swing to R&B and as "one of the Crescent City’s greatest musicians and a true pioneer in the rock and roll revolution." "The Fat Man" is a song by American rhythm and blues recording artist Fats Domino. It was written by Domino and Dave Bartholomew, and recorded on December 10, 1949. It is often cited as one of the first rock and roll records. Sub-Saharan African music is characterised by a "strong rhythmic interest" that exhibits common characteristics in all regions of this vast territory, so that Arthur Morris Jones (1889–1980) has described the many local approaches as constituting one main system. C. K. Ladzekpo also affirms the profound homogeneity of approach. West African rhythmic techniques carried over the Atlantic were fundamental ingredients in various musical styles of the Americas: samba, forró, maracatu and coco in Brazil, Afro-Cuban music and Afro-American musical genres such as blues, jazz, rhythm & blues, funk, soul, reggae, hip hop, and rock and roll were thereby of immense importance in 20th century popular music. The drum is renowned throughout Africa. A guajeo is a typical Cuban ostinato melody, most often consisting of arpeggiated chords in syncopated patterns. Some musicians only use the term guajeo for ostinato patterns played specifically by a tres, piano, an instrument of the violin family, or saxophones. Piano guajeos are one of the most recognizable elements of modern-day salsa. Piano guajeos are also known as montunos in North America, or tumbaos in the contemporary Cuban dance music timba. Tresillo is a rhythmic pattern used in Latin American music. It is a more basic form of the rhythmic figure known as the habanera. 1 2 Frere-Jones, Sasha (April 3, 2006). "On Top: Mariah Carey's record-breaking career". The New Yorker . CondéNet. Archived from the original on April 20, 2006. Retrieved August 30, 2008. ↑ "'Vision of Love' sets off melisma trend". The Village Voice . February 4, 2003. ↑ "The 100 Greatest Singer of All Time : Rolling Stone". Rolling Stone . November 12, 2008. Archived from the original on December 1, 2008. Retrieved November 22, 2008. ↑ Sacks, Leo (August 29, 1993). "The Soul of Jerry Wexler". The New York Times . Retrieved January 11, 2007. ↑ Whitburn, Joel (1996). Top R&B/Hip-Hop Singles: 1942–1995. Record Research. p. xii. ISBN 0-89820-115-2. ↑ Rye, Howard. "Rhythm and Blues". Oxford Music Online. Retrieved July 20, 2014. ↑ Palmer, Robert (September 19, 1995). Rock & Roll: An Unruly History. Harmony. p. 8. ISBN 978-0-517-70050-1. 1 2 "Tad Richards, "Rhythm and Blues", St. James Encyclopedia of Pop Culture". Findarticles.com. January 29, 2002. Archived from the original on December 7, 2009. Retrieved April 20, 2012. ↑ "Wynton Marsalis part 2." 60 Minutes. CBS News (June 26, 2011). ↑ "RHUMBOOGIE – Lyrics – International Lyrics Playground". Lyricsplayground.com. ↑ Kubik (1999 p. 51). ↑ Stewart, Alexander (2000: 298). "Funky Drummer: New Orleans, James Brown and the Rhythmic Transformation of American Popular Music." Popular Music, v. 19, n. 3. October 2000, p. 293-318. ↑ Stewart (2000 p. 293). ↑ Stewart (2000 p. 306). ↑ Boggs, Vernon (1993 pp. 30–31). "Johnny Otis R&B/Mambo Pioneer" Latin Beat Magazine. v. 3 n. 9. Nov.
↑ Stewart, Alexander (2000 p. 307). "Funky Drummer: New Orleans, James Brown and the Rhythmic Transformation of American Popular Music." Popular Music, v. 19, n. 3. October 2000, pp. 293–318. 1 2 Sublette, Ned (2007 p. 83). ↑ Peñalosa, David (2010 p. 174). The Clave Matrix; Afro-Cuban Rhythm: Its Principles and African Origins. Redway, California: Bembe Inc. ISBN 1-886502-80-3. ↑ Roberts, John Storm (1999 p. 136).The Latin Tinge. Oxford University Press. ↑ Sublette, Ned (2007 p. 69). 1 2 "– Biography: Johnny Otis". Billboard.com. Retrieved April 20, 2012. ↑ "Kevin Smith Librarry : Case Western Reserve University : Search Results : Mintz". Library.case.ueu. Archived from the original on February 3, 2014. Retrieved May 21, 2014. ↑ "Buzzard Audio – The Buzzard: Inside the Glory Days of WMMS and Cleveland Rock Radio — A Memoir – Page 4". buzzardbook.wordpress.com. ↑ Floyd, Samuel Jr. (1995). The Power of Black Music. Oxford University Press. p. 177. ↑ "The Orioles Record Label Shots" . Retrieved December 23, 2007. ↑ Gilliland 1969, show 22, tracks 3–4. ↑ Simon, Tom. "Brook Benton Biography" . Retrieved December 23, 2007. ↑ "Billboard.com – Year End Charts – Year-end Singles – Hot R&B;/Hip-Hop Songs". Web.archive.org. June 18, 2009. Retrieved December 9, 2018. ↑ "Mar-Keys – Last Night – Billboard Top 100 – 1961 – Top Billboard – mp3 song hits download full albums in mp3". Mp3fiesta.com. Retrieved February 1, 2018. ↑ "allmusic". AllMusic . Retrieved January 7, 2010. ↑ "The Beginning". Web.fccj.edu. Archived from the original on May 12, 2008. Retrieved January 7, 2010. ↑ Cahoon, Brad (December 11, 2014). "Rhythm and Blues Music: Overview". New Georgia Encyclopedia . Retrieved February 13, 2017. ↑ "I Can't Stand The Rain by Ann Peebles". Songfacts.com. Retrieved December 9, 2018. ↑ "THE CHANGING FACE OF R&B". www.bluesandsoul.com. Retrieved November 3, 2015. ↑ "100 & Single: The R&B/Hip-Hop Factor In The Music Business's Endless Slump". Village Voice. Retrieved November 3, 2015. ↑ says, ChgoSista. "The Sacrifice of R&B". Soul Train. Retrieved November 3, 2015. ↑ Vickie Cox Edmondson (July 18, 2008). "A preliminary review of competitive reactions in the hip‐hop music industry: Black American entrepreneurs in a new industry". Management Research News. 31 (9): 637–649. doi:10.1108/01409170810898536. ISSN 0140-9174. ↑ "British Jazz-Funk". Criticalminded.com. October 9, 2016. Retrieved December 9, 2018. Gilliland, John (1969). "The Tribal Drum: The rise of rhythm and blues" (audio). Pop Chronicles . University of North Texas Libraries.